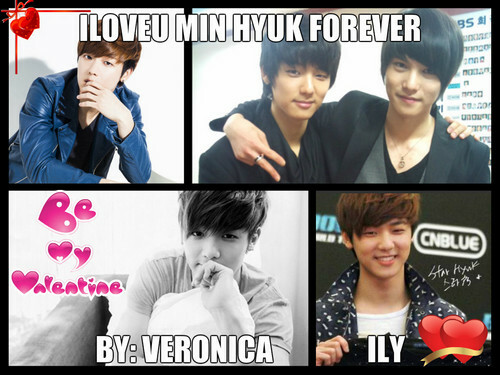 my valentine gift for min hyuk. I প্রণয় min hyuk forever. HD Wallpaper and background images in the Kang Min Hyuk club. This Kang Min Hyuk fan art might contain সাইন, পোস্টার, টেক্সট, চকবোর্ড, প্রতিকৃতি, ধনু, and চতুর.